Japanese amberjack (Buri) is a fish that is given different names at each stage of growth such as “wakashi”, ”inada”, ”warasa,” and finally, ”buri”. 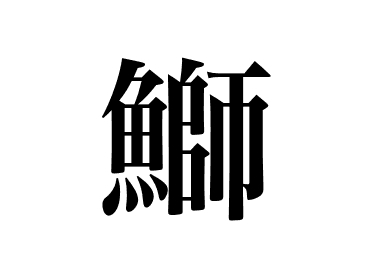 (In Kansai the terms are “tsubasu,” “hamachi,” “mejiro,” and, “buri.” This fish represents the winter palate. 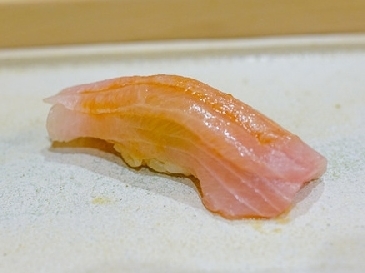 Especially “kanburi,” caught in Toyama area, is very delicious, no less tasty than toro fatty tuna. The umami flavor of amberjack increases when left to mature for 2 to 3 days. Lately the farming is advancing and about 80% of amberjack on the market are produced in farms. In Kanto, farmed amberjack is called “hamachi” in order to distinguish it from those caught in the wild.